Weighing aircraft with accurately calibrated scales is the only sure method of obtaining an accurate empty weight and CG location. The two basic types of scales used to weigh aircraft are platform and load cell. 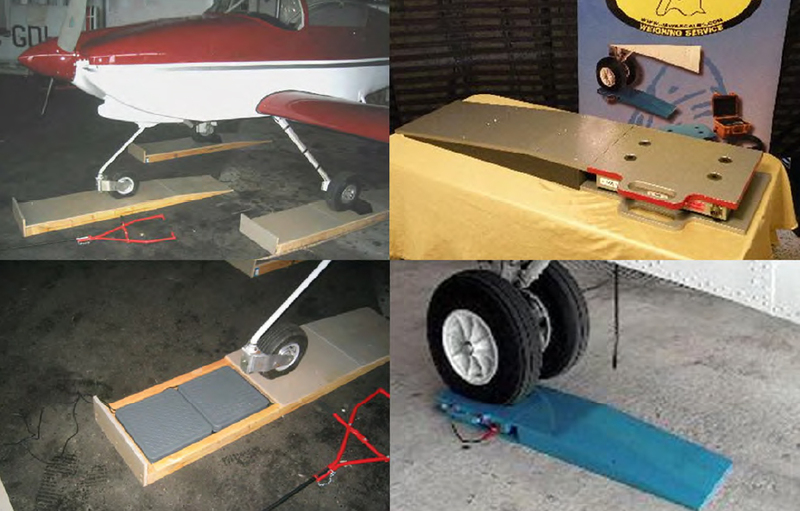 Platform scales [Figure 3-1] or ramp wheel scales [Figure 3-2] (usually a form or modified version of the platform scale) are low profile, easy to handle, safe, and reliable. Tow or push the aircraft wheels or skids onto the scale pad at ground level. With one scale per wheel, each device should be capable of measuring up to at least 60,000 pounds since the weight on each wheel rarely exceeds this figure. 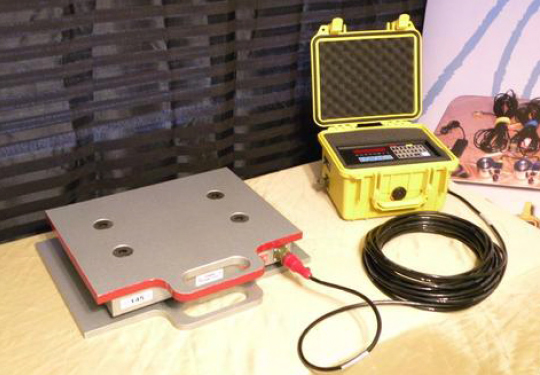 Load cell scales [Figure 3-3] are also a reliable means to weigh aircraft and are typically cheaper than the platform type.Using load cell scales allows for the aircraft to be set up and weighed in its level flight attitude. With this method, the aircraft is placed on jacks with electronic load cells placed between the jack and the jack pad on the aircraft. The aircraft is raised on the jacks until the wheels or skids are off the floor and the aircraft is in a level flight attitude. The weight measured by each load cell is indicated on the control panel. Jacking an aircraft off the ground from all load points can be an inconvenience, as well as a safety risk, which some operators would rather avoid by opting for more expensive—but simpler to use—platform equipment. In addition, weighing with platform scales typically takes only one-third of the time needed to weigh with load cells. Figure 3-3. Load cell scales. All scales for aviation use, manual or electronic, must be protected when stored or shipped, and they must be checked periodically for accuracy. 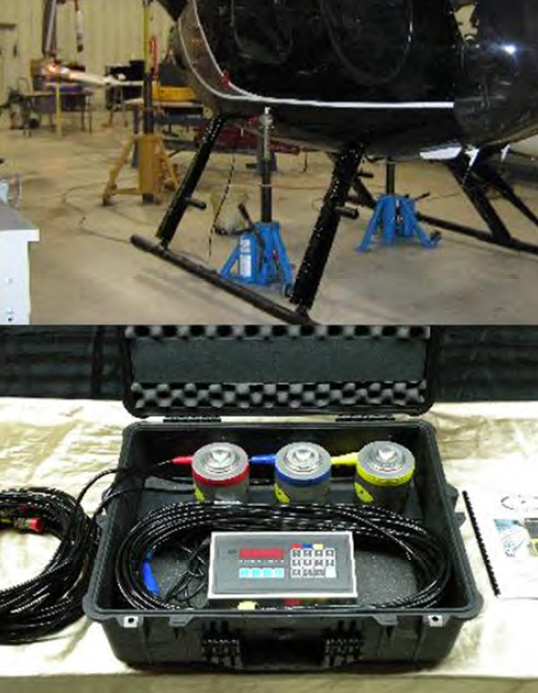 The maximum recognized period between calibration checks is 12 months; however, this period may be reduced by an airworthiness authority dependent on the conditions of use. Scales in daily use may require a shorter interval and/or testing to determine the continued accuracy of the unit. Scales should be returned to the manufacturer for proper calibration and testing.